Drenching rains flooded Chechnya a couple of weeks ago, destroying some homes. Victims of the floods tried to repair their roofs to avoid disaster, to no avail. In some areas, the rains have flooded roads that were built quickly and carelessly as quick symbols of the country's miraculous rebirth. The 16 relics were brought from the UAE by Sheikh Ahmad Bin Muhammad al-Hazrat, whose ancestors were said to have been entrusted with their eternal custody. According to official sources in Chechnya, these relics had never left Ahmad bin Muhammad's family home. Only now did the sheik, who said he was inspired by what he sees as Kadyrov's unprecedented success in the restoration of the republic, allow their transfer. It is not known how long these items will remain in Chechnya, nor how much it cost to house them. 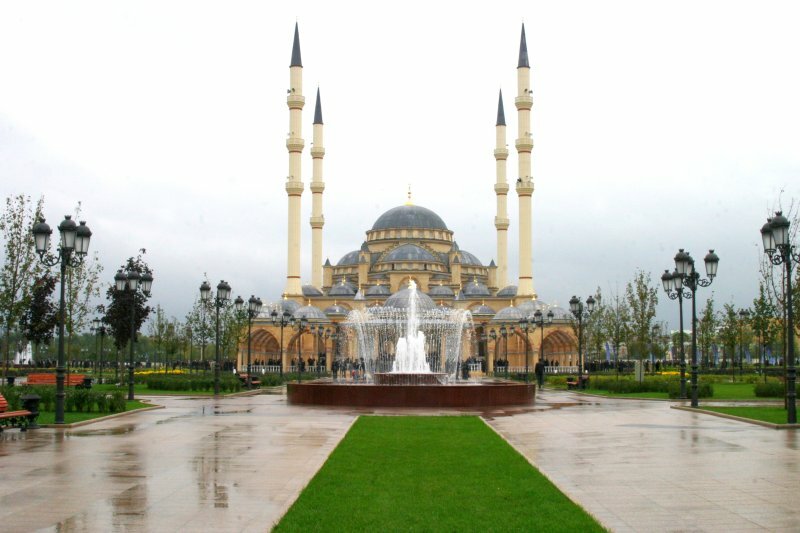 The government has traditionally claimed that it does not spend a cent when sacred objects or music or sports stars arrive in Chechnya. Maradona, with a team of soccer stars, was simply captured by Kadyrov's government talents, they say, while Lara Fabian sang in Grozny driven by unconditional love for the Chechen people. Similarly, action film actor Van Damme regularly spends time with the head of state because he is fascinated by the fighting style of Ramzan who, it is widely known, is also a boxer. The same is said of the arrival of relics, although, the surprising flood of relics into Chechnya only began last year. With so many Muslim countries around the world that would be honoured to host one of these relics, the fact that the owners of these relics suddenly decided to donate them to a small republic in the Caucasus mountains is already almost a miracle. Even more miraculous is that they do so purely out of goodwill, since the government argues it did not spend a penny of public money acquiring the relics. However, the most surprising thing of all is that, all of a sudden, Mohammed, known to have lived in extreme poverty, turns out to have left a myriad of objects that, 1400 years later, end up in Chechnya, one after the other. History teaches us with reasonable certainty that Muhammad's very few objects were mostly lost over the centuries. For example, the Prophet gave his ring to his close associate Usman who, a few years later, accidentally dropped it into a well. His stick and flax cloak were lost in a fire in Baghdad in 656. Muslim scholars agree that most of Mohammed's objects were lost, and that it is virtually impossible to prove the authenticity of those exhibited in the museums of Muslim countries. According to a famous statement by Sheikh al-Albani, among the most influential scholars in the field, "we know that what was left of the Prophet, his clothes or hair and so on, was lost, and no one is able to prove indisputably the opposite", he writes in his book "At-Tawassulu". Yet, in a single year, three relics of the Prophet have arrived in Chechnya. It all started last fall when, under the astonished gaze of the faithful, whose eyes were filled with tears of awe, Kadyrov brought the Prophet's cup to his lips. To the surprise of many, the cup came from England. Apparently, the Prophet had given it to his cousin Ali, whose descendants were later forced to emigrate to England and, in a whirlwind of events, recently decided to donate the sacred cup to the Chechen people. According to persistent rumours, however, Kadyrov bought it from businessman Ruslan Bajsarov for the modest sum of 16 million Euros. A couple of months later, a special capsule containing a hair that allegedly belonged to Muhammad arrived in Chechnya. In that case, the relic came from Uzbekistan where the Prophet's descendants allegedly kept it for centuries. By now, as many as 16 relics have made their way to Chechnya. The cult of relics is a rather strange novelty for Chechnya. The TV has shown images of caravans of expensive limousines carrying these items from the mosque, shots of Kadyrov's five-year-old son carrying the capsule with the sacred hair on a special pedestal in front of the crowd, and video of the priests and Kadyrov himself, flanked by his entourage, being moved by the relics . Meanwhile, a controversy rages on the web about this sacred PR campaign. Someone compared the government to those Catholic priests who, in the Middle Ages, used to trade Jesus' blood and tears as relics, and the Orthodox who venerate the relics of saints, believing in their miraculous power. Others point out that Muhammad was against the worship of things and even banned group visits to graves in order not to turn them into places of worship. The impression is that the real purpose of these initiatives, whether the relics are authentic or not, is the sanctification of the current leadership and the religious legitimisation of Kadyrov's power. However, the events seem anything but divine. It is no secret that the government, in order to achieve mass participation in official events, makes extensive use of its so-called "administrative resources", with schools and universities supplying most of the participants. On such occasions, the government mobilizes choolchildren, students, and professors, who make up the majority of Chechnya's population, as well as elementary school teachers. Public school teacher Zajnap, 54, has worked for over 30 years in a Grozny school. She was a teacher under the Soviet regime, at the time of independence, and during the Chechen war. During the war, part of her school was occupied by Russian soldiers and the other, a couple of rooms in ruins, by pupils and teachers. "Never, in thirty years of work, has the government so often and so blatantly interrupted the learning process. Even during the war, we were able to pay more attention to children. Now, every day we are forced to march in all kinds of celebrations and events." This time, however, Zajnap and her female colleagues were spared. Only men were deemed worthy to form the human corridor. Women are not allowed to participate in such sacred actions. Since there are traditionally more female than male teachers, the school supplied only 25 men, who were either teachers or husbands, brothers, or male relatives of the school's female workers. "Our school bus was broken, so the director had to find another means of transport at his own expense, but he still managed to go and show how many people he had brought,” she says. However, the many people who the government called to honour the arrival of the relics did not even get a chance to see them: the limousine carried them directly to the mosque. Only a select few among Kadyrov's entourage could enjoy a view of the sacred objects. Later, common mortals had their chance to visit the relics displayed in Grozny's central mosque. The first two days, visiting times were reserved for men. Afterwards, women were granted the same opportunity for one day. And even this felt like a favor.